Clinging to the assumption I will one day be published, I am proactively compiling a list of things I want to remember not to forget once the dream toggles to reality. For safekeeping and future reference, I am storing my self-reminder stockpile here. And sure, you can read them, if you want, my little twice-baked potato. Vicky, when you become published . . . Remember not to complain about advances or book signings and other such publishing blah-dee-blah in front of writers who are pre-published. Reflect on what it was like being left out of the conversation or feeling resentful hearing those complaints. For the love of F&Gs, do not be a Diva McWhinypants. Remember to remain thankful when parts of the publishing process fail to measure up to what you thought they would be. Behind every delicious meal there’s a messy kitchen. You need to embrace both. Remember writers write. Just because you’re published now doesn’t mean you get to slack off. Remember to say thank you humbly without pushing away the compliment (should you be so lucky to receive one). You don’t want the person praising you to feel stupid for liking your work. Remember you are not the first person on the planet to get published. Other important things are going on in the world that have absolutely nothing to do with you or your book. 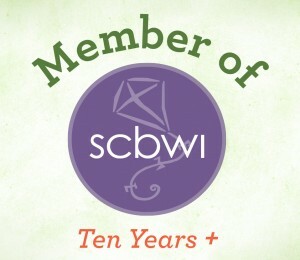 Remember to give back – to your local SCBWI chapter, to your local library and to your beloved cheering section. Remember to be sensitive to those who will find your good news bittersweet. You know how hard it was to act all mature and supportive when your insides were turning to macaroni salad over someone else’s big break. Do not apologize for your success, but aim to keep your relationships balanced—it’s not all about you. Even if your friend is trying to pretend like she’s cool with you talking about every interaction with your new editor, give her some air. She can be genuinely happy for you and still hate your guts for a while. Remember how that felt? Your friend is smart and she will process this and you two will be okay. Just don’t push for it to happen. Be cool. Remember “your” book was a total team effort. Remember to acknowledge the epic efforts of your agent, editor, art director, copy editor, publisher and marketing team who went all in to make your book real. Remember to let it really soak in. Being a debut author is a big deal and while you hope to publish many more books, this is the one that changed everything and will probably be the most celebrated, so don’t save the party for the future. Remember not to hover over Amazon ratings and Goodreads reviews. Do you hear me? Remember no one is obligated to like, much less buy, your book. Do you like everything that’s in print? Okay then. Remember not to be shocked or disappointed when your launch day comes and the world looks pretty much like it did the day before. Your book will probably not be the first thing people think of when they roll over and hit the snooze button. Crazy, right? Remember you are still going to deal with rejection, the emotional roller coaster and disappointment. Remember once you have an ISBN, people will tend to give more weight to your “wisdom,” but don’t let that buckle your common sense. If you don’t know the answer to a question, let’s say on a panel discussion, it’s okay to say I’m still learning and defer to someone with more knowledge. Remember what people told you about second books and how it can make you freeze up out of fear it won’t measure up to your first book. That’s normal. Thaw out already. Remember it’s okay to say no. You don’t have to talk to every school group or travel to the far-reaches of Arewethereyet to speak to a five-person book club. You still need to protect time for writing, friending and other -ings. Remember to set your sights on a new dream. Your first book is not a finish line, it’s the starter pistol. Excellent list. Impossible but excellent. Impossible, but we can aim high, right? Thanks so much for visiting. I sure hope I remember! Thank you, Melodye! Wisdom. Hugs, to you my friend. Thank you, Shutta darlin’! I appreciate you. How’d you get to be so darn astute? I LOVE this list and am herewith asking permission to print and frame for my office, giving you credit, of course. You know what it is? I have been on this journey for sooooo long with such a-m-a-z-ing people–like you–that some of it must have rubbed off. Aren’t I lucky? And my goodness, print away. I would be honored. Oh! Also, let me congratulate you on your newest book. I can’t wait to read it. This will happen sooner than you think. Congratulations in advance. Let’s hope, my little Finkelstein Fortune Cookie! 17 very good items Vicky – thanks! You are so very welcome! Thank you for visiting, Cathy!